More than 100,000 nurses and other NHS staff sign an online petition calling for an end to pay restraint, triggering a parliamentary debate. The Nursing and Midwifery Council (NMC) agrees to regulate the new nursing associate role. Nurses recognised in the Queen’s New Year’s Honours list include University of West London emeritus professor of nursing Elizabeth Anionwu, who is made a dame. Official figures reveal a 23% fall in nursing degree applications, which the RCN says confirms its worst fears, following the government’s removal of the bursary for nursing students in England. In Scotland, a group of 20 community nurses are the first in 50 years to be able to use the Queen’s Nurse title there, thanks to a new nine-month development programme. A Nursing Standard and Marie Curie survey reveals that nurses feel they have too little time to provide high-quality care to dying patients. Nurses are hailed for their swift and professional response to a terrorist attack in Westminster that left four dead and dozens injured. Guy’s and St Thomas’ NHS Foundation Trust chief nurse Eileen Sills says the historic hospital’s location put her staff on the front line of the emergency response. NHS England announces a new two-year fast-track ‘Nurse First’ programme aimed at recruiting high-achieving graduates from related disciplines into nursing. The NMC reveals that 200,000 nurses and midwives have revalidated since the system was introduced in April 2016. 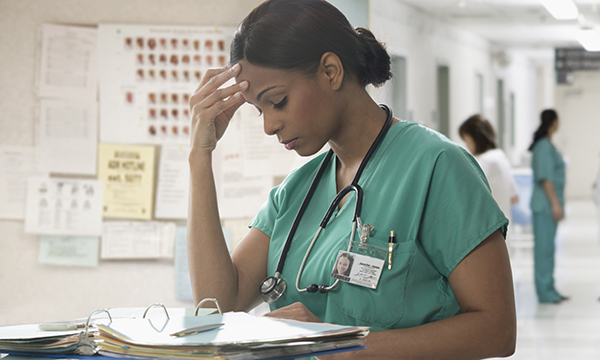 The second annual Workforce Race Equality Standard report shows that more black and minority ethnic (BME) nurses are moving into senior positions but many are still suffering in silence. Celebrations are held across the UK for International Nurses Day. Melanie Davies is named Nurse of the Year at the annual RCNi Nurse Awards for her work in making far-reaching changes to the care of people with learning disabilities at Swansea’s Morriston Hospital. At its congress in Liverpool the RCN announces a summer of protest over pay restraint. A new global campaign to raise the profile of nursing is announced at the International Council of Nurses (ICN) 2017 congress in Barcelona. Kirsty Boden, the nurse killed in the London Bridge terrorist attack. 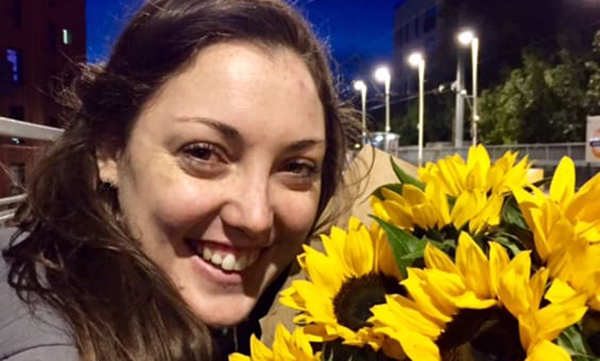 Tributes are paid to Kirsty Boden, a nurse killed in the London Bridge terror attacks when she ran towards danger to help others. Nurses tell of their struggle to care for patients after the fire at Grenfell Tower in west London. Five nurses take up seats in parliament following a general election that saw turnout at a 25-year high, boosted by young and BME voters. Nurses take to the streets as the summer of protest begins in Norwich with a candlelit vigil. Nurses angered at a comment made by prime minister Theresa May deliver a ‘magic money tree’ to the Department of Health as they fight for an above-inflation pay rise. Nearly 5,000 nurses send letters and emails to their MPs to protest about pay restraint. 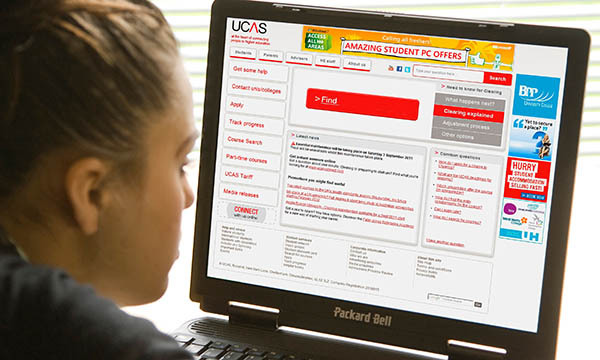 The Council of Deans of Health says a campaign promoting healthcare careers is vital, as universities report a 19% drop in applications for nursing student places across the UK. Many nurses joined demonstrations calling for pay restraint to be scrapped. The government announces plans for 10,000 additional training places for nurses, midwives and allied health professionals. Coventry University offers bursaries to men who apply for degrees in nursing, midwifery and other healthcare disciplines in an effort to address gender imbalance. ICN chief executive Frances Hughes steps down due to ‘unforeseen circumstances’. 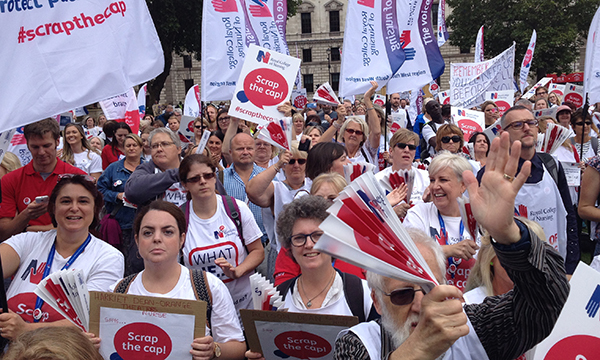 About 2,000 nurses descend on Parliament Square in London for the biggest rally of the RCN’s Scrap the Cap campaign. Scotland's first minister Nicola Sturgeon publicly commits to scrapping the 1% pay cap for nurses and other public sector workers in Scotland from 2018. Nursing Standard marks its 30th birthday with a special print issue. A Nursing Standard investigation reveals that one in four nursing students in the UK quit their university course before completing it. The Commons health committee launches an inquiry into pressures facing the nursing workforce. 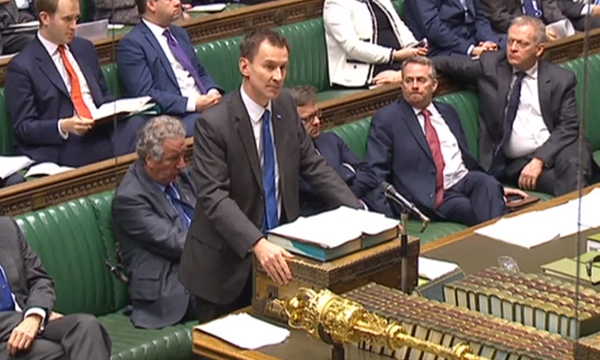 Health secretary Jeremy Hunt announces an end to the pay cap for NHS staff in England. The World Health Organization appoints a chief nurse for the first time in seven years, naming Elizabeth Iro, the Cook Islands health minister, who has 30 years’ experience in public health. Research nurse Liza Mitchell-Worsfold is among the winners of the year’s Mary Seacole Awards for a project about skin cancer and BME people. Chief nursing officer for Wales Jean White receives a CBE from the Queen at Buckingham Palace. Presenting the autumn budget, chancellor Philip Hammond promises funds to cover a nursing pay rise. The Welsh government publishes statutory guidance on new nurse staffing laws. The annual search for nurses who represent the best of the profession begins with the launch of the RCNi Nurse Awards 2018. 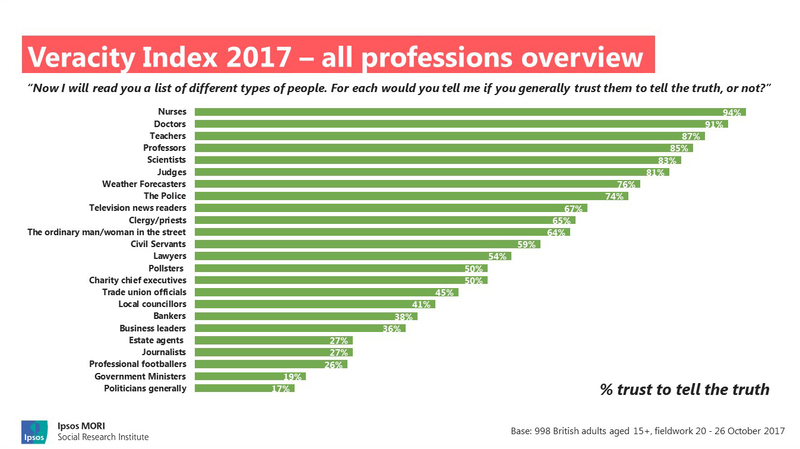 A poll by Ipsos MORI reveals that nursing has been voted the most trusted profession in the UK for the second successive year.